Want to increase your online presence? We can help! will increase your visibility, marketability, and your bottom line! Squidoo Lens Creation and Promotion is quickly becoming a very useful tool for both promoting your product or service, but also creating valuable links back to your website and/or other properties (videos, articles, etc). It is an excellent way to get your information to the public. Squidoo basically acts as a single web page dedicated to your topic, similar to Hubpages. This may include text, pictures, videos and most importantly, links. Squidoo links are also searched and indexed by search engines and Squidoo offers do-follow links. Squidoo has become an effective way for many small and large businesses to get web page for their product or service. Through this service you can get more traffic to your website or products. Gaining a competitive advantage is everyone’s goal. This is more evident on the web and more specifically in the Search Engines, than ever. Getting your message out to the masses is imperative, and equally as important, is getting your message on the web quickly! So, how do you get a jump start? The answer is – follow a simple two step process. First, create a webpage (and/or website) for which your product or service. This webpage may aim to promote a particular product or service provided by you. Secondly, try to place your page in a manner so that whenever someone tries to find that product or service using a search engine like Google or Yahoo, he or she gets your webpage as one of the top results. Technically, this method is known as getting search engine optimized. Another question – is how to get search engine optimized? Here, the concept of Squidoo lens comes into the equation. It can be thought of as a tool which can increase the chance of ending among top few web pages when someone does a Google or Yahoo search giving some keywords as input. In order to better understand how Squidoo lens works, let us first define the concept of authority sites and non-authority sites. Authority sites, are credible online resources while non-authority sites are those whose credibility is not above question. Squidoo lens is an authority site which, when gets linked to your own website, increases the credibility of your website and therefore your website will be targeted by the Search Engines as one of the top ranked websites for that search term. There are several other key features of Squidoo lens. 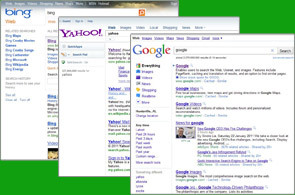 Having a Squidoo Lens (page) can and will be indexed by the search engines also (along with your website). So when someone searches for a specific term, they will not only see your website, but also your Squidoo Lens page too. This only strengthens your online visibility and keeps top of mind awareness to your clients and prospects. Coupling this with other marketing efforts can only increase the number of indexed and ranked results - just think if your website was ranked, your Squidoo Lens page was ranked, your Facebook page, your YouTube page - I think you are getting the idea now. The more results you have for a specific term, the higher probablity that you ultimately reach your client and prospects!